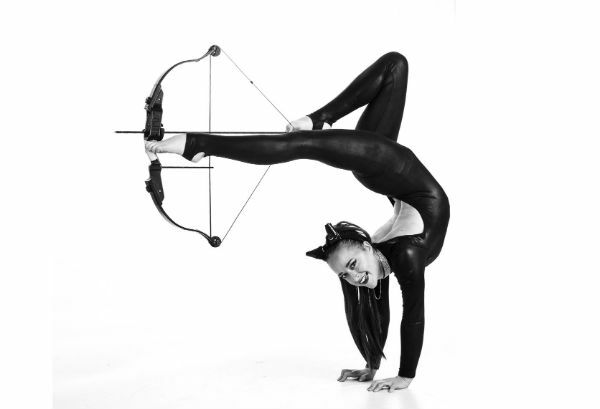 Orissa Kelly is the UK’s only fire foot archery performer, a unique act which involves her shooting a bow and arrow from a variety of different acrobatic positions, including from her feet in handstand. This can also have the addition of a fire arrow/pyrotechnic ending for a spectacular finale! 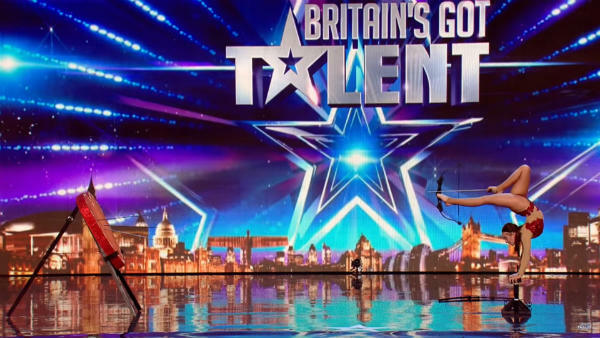 Performing for HRH Queen Elizabeth II, on Britain’s Got Talent and for the Hollywood Blockbuster ‘Wonder Woman’, this extraordinary performance has taken her to every continent in the world. 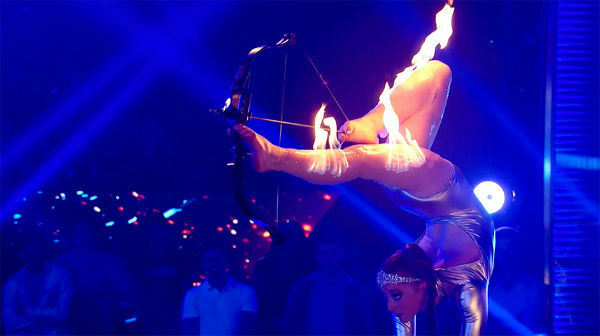 The Fire Foot Archer act is extremely versatile and with client preference of music, costume and even target decorations can suit almost any theme. 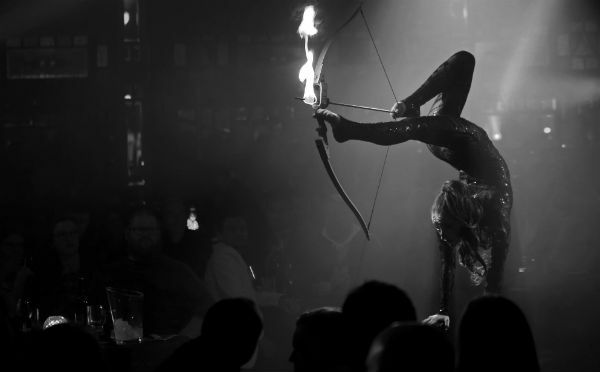 The Fire Foot Archer performance only requires a 4 metre stage width and is fully insured with detailed risk assessments. 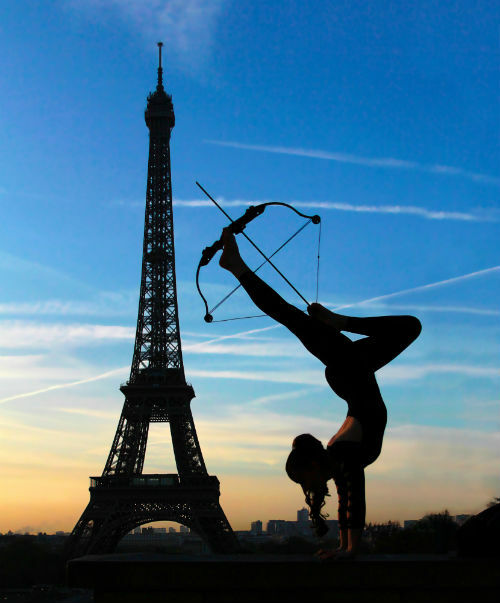 Orissa can also perform aerial silks and hoop if additional acts are required. -The act can range from 3-5 minutes depending on client’s preference. -Act can be performed up to 3 times in a day. 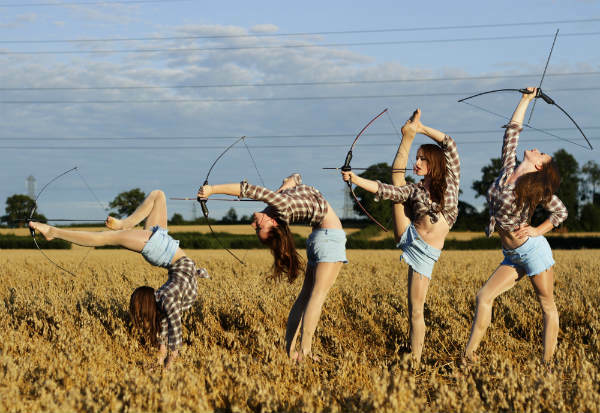 – Foot archery can only be performed as a stage act and not ambient sets. – Can also be performed with sucker arrows as a ‘safety’ version for venues that don’t allow real arrows. Contraband is the UK’s top booking agent, with friendly, knowledgeable account managers who guarantee you the best deal possible. Contact us today if you would like to book Orissa Kelly to be the headline of your event! We as your booking agent are more than happy to help you create the most memorable moments with Orissa Kelly. 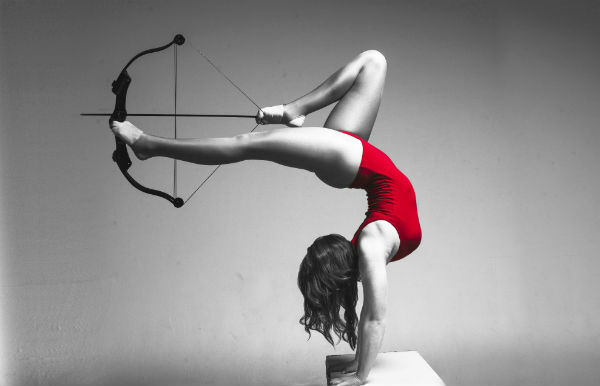 That was incredible, she’s like a really hot bendy cupid!